This year marks the 35th anniversary of the 1982 Eldredge v. Koch case, in which the New York State Supreme Court ruled that the Callahan decree must be applied to homeless women – thereby extending the right to safe, clean shelters. Tonight, as a result of this victory, 4,211 single adult homeless women will be able to sleep with a roof over their heads rather than on the cold streets. 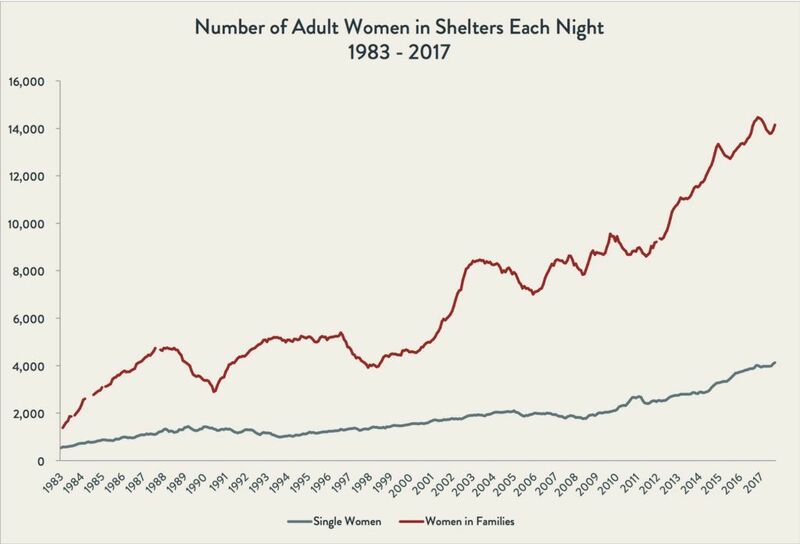 The need has never been greater: The percentage of all homeless adults that are women has grown from 35 percent to nearly 50 percent over the past four decades, largely due to the increase in homeless families headed by women. Listen to some homeless women discuss what the right to shelter means to them here. The Federal Department of Housing and Urban Development reports that on a single night in 2016, an impressive 96 percent of the 73,523 homeless people in New York City were sheltered, compared with only 25 percent of the 43,854 homeless people in Los Angeles. The post Today is Right to Shelter Day appeared first on Coalition For The Homeless.